Simplicity is the ultimate sophistication. 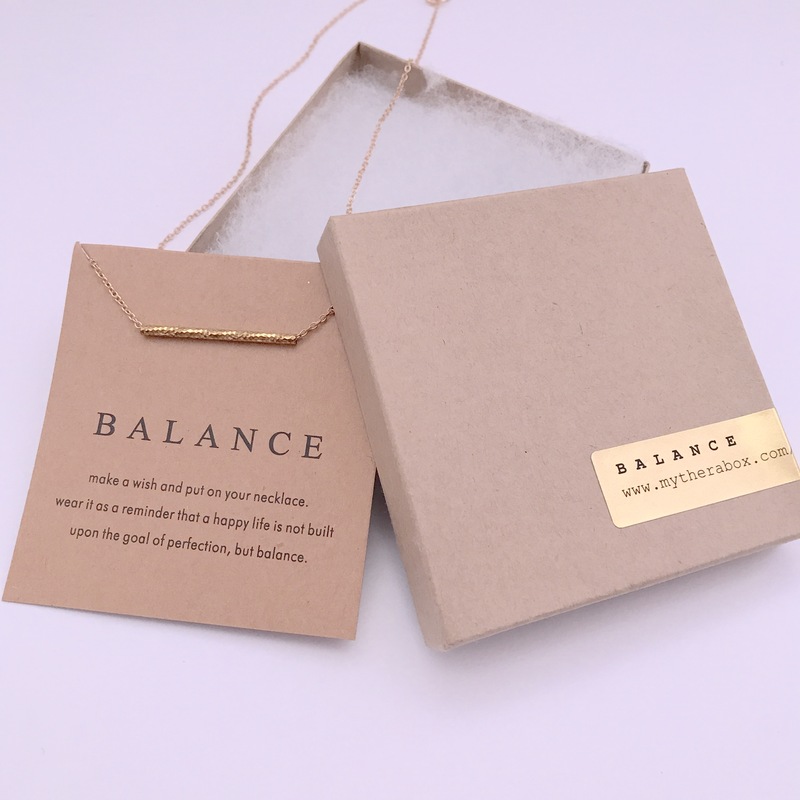 This beautiful "balance" necklace features a centering textured bar as the focus point of the necklace. The bar serves as a daily reminder to remain centered, balanced, and mindful as you take on your day with intention. Make a wish or set a goal before putting on your necklace and wear it as a daily reminder that a happy life is not built upon the goal of perfection, but balance.